Well, some good news at last for dogs that are accused of being the reincarnation of irritating lawyers. 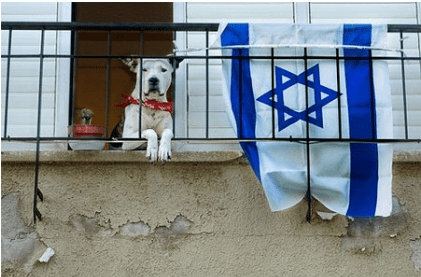 The Israeli newspaper Maariv reported a couple of weeks ago that a court in an ultra-Orthodox area of Israel had sentenced a stray dog to death by stoning, believing that the dog, which had wandered into a courtroom, was the reincarnation of a lawyer who had insulted a judge 20 years before. This story was repeated by a number of other sources, but not by yours truly, who has some experience in distinguishing between the unlikely-but-probably-true and the probably-unlikely-to-be-true. I couldn’t find any other details on the story, so did not mention it. Now, not too surprisingly, it appears that the original story in fact was not true, and that Maariv has apologized for it. According to this new report, the court issued a statement saying that a stray dog did wander into court, but that this was the only detail Maariv got right. “There was no talk of reincarnation, a lawyer has never been mentioned … and there was no stoning,” the statement said. Other than that, good work, Maariv.